He eats normally five days a week and fasts for two. Fasting may seem like a drastic way to lose weight, but it can be safe and effective when done in moderation, according to self-improvement blogger Dave Wentworth. The mechanical engineer, who lives in Michigan, decided to try the 5:2 intermittent fasting diet after joining a weight-loss competition at his job in 2011. Simply put, the diet required him to eat normally five days a week and fast for two. “In simple terms, it’s eating as normally as you can for five days of the week and then on two days — for two 24-hour periods — you don’t eat,” Wentworth tells NBC News BETTER. That doesn’t mean you starve yourself for two days, Wentworth explains. It means that for two non-consecutive days of the week, you eat only one meal. On fasting days, for example, he skipped breakfast and lunch, and only ate dinner. “It’s a simple way to get basically a 20 percent reduction in total calories overall,” says the engineer. Wentworth says the diet worked because it allowed him to be flexible. It’s a simple way to get basically a 20 percent reduction in total calories overall. Five days out of the week, Wentworth ate what would be considered a normal amount of calories to eat in a day. (How many calories a person needs to eat in a day varies between individuals and gender.) Like any diet, the 5:2 diet required him to be somewhat careful about what he ate, he says, since he had to ensure he was staying at a caloric deficit throughout the week. For example, he would have a protein shake for breakfast, a chicken stir fry for lunch and a typical dinner with meat and vegetables, he says. “Kind of the standard grain, protein and a veggie kind of setup,” Wentworth explains. You can eat some unhealthy foods, he added, but don’t overdo it. On two non-consecutive days of the week, Wentworth skipped breakfast and lunch, but ate dinner. Since he was going almost an entire day without food on those days, he says he had to be careful not to gorge himself at dinnertime. He said he ate a lot of vegetables and fiber-rich foods. Healthier foods filled him at a fraction of the calories, he explains. Wentworth recommends tracking your calories when you start the 5:2 diet. Doing so will help you make sure you’re not overeating during meals, especially on fasting days. Your body weight may fluctuate drastically from day to day, especially on non-fasting days, he says. To get an accurate understanding of how much weight you’re losing, he said, weigh yourself once a week instead of every day. Lastly, he recommends avoiding endurance sports like long-distance running while on the 5:2 diet. “It just drives your hunger upwards,” he says. After six months on the diet, Wentworth lost about 50 pounds. He said the diet worked for him because he only had to restrict his eating twice a week instead of every single day, and could still eat some unhealthy foods. With the excess weight gone, Wentworth says he has “a ton of energy.” He still tracks his weight and goes back to fasting temporarily if he sees it start to go up. For five days a week, eat what is considered a normal amount of daily calories, and fast for two non-consecutive days: On fasting days, skip two meals, and have one normal meal. You can switch your fasting days around if you need to be flexible. You still need to be careful about what you eat: To lose weight, you need to keep a caloric deficit throughout the week. Stick to mostly fibrous foods, like whole grains and veggies, especially on fasting days, to help yourself feel full. Some unhealthy foods are fine, just don’t overdo it. Track your calories and weight, and avoid too much exercise: Keep track of your calories to make sure you aren’t overeating, especially on fasting days. 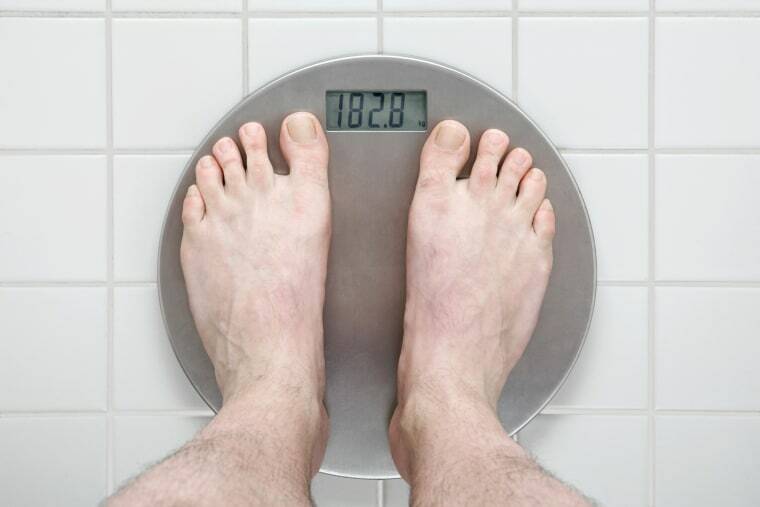 Track your weight by weighing yourself once a week instead of every day, since your weight may fluctuate drastically from day to day. Avoid endurance sports like long-distance running that will spur your hunger. What is the keto diet -- and is right for you?